My love for avocados continue. On and on. And on. Whether I’m whipping up chocolate pie, key lime pie, chocolate milkshakes or a simple kale salad, I bite into one of these beauties every.single.day. Their creamy texture and skin enhancing perks are only two of the reasons avocados have become a kitchen necessity. They are pretty much the perfect food, go with just about everything, and take on the flavor of the food you add to them. This week, I have been eating them with scrambled eggs. Add a pinch of salt and pepper and I am utterly satisfied. My friend, Jeff, now calls me Avocado Amy, after watching me devour every last bite of one at Kerbey Lane and witnessing my enthusiasm for the rich, green darlings. 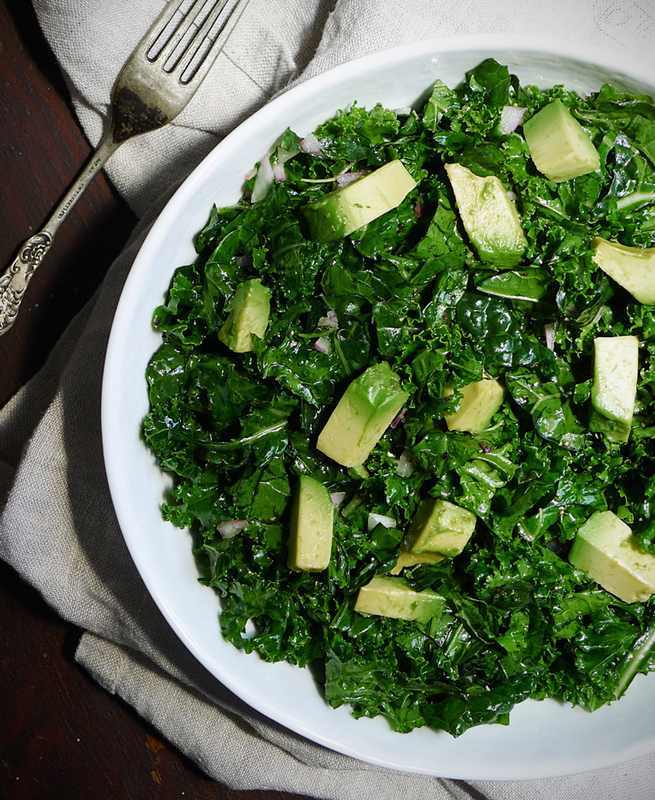 My affection for kale is no secret. My body begs for it and will revolt when I’ve gone more than two days without raw greens. Because I have not been craving my go-to green smoothies this week, I needed a way of getting some kale into my diet in non-beverage form. 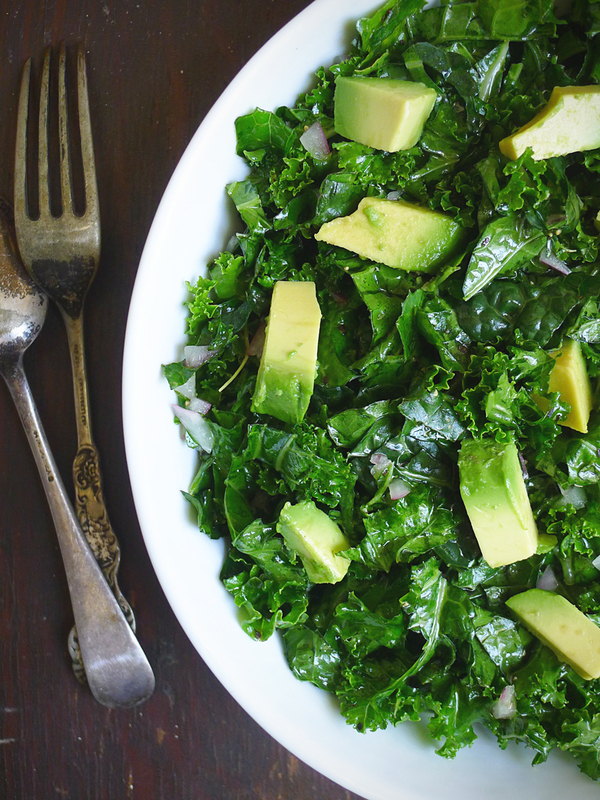 This salad is so simple to put together and full of antioxidants. 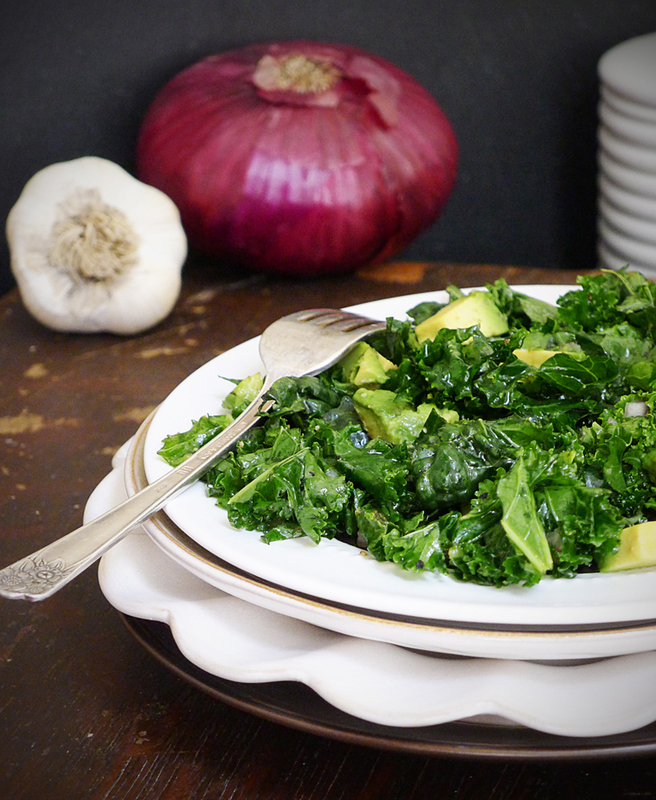 I massaged the kale with lemon juice for easy digestion and added some red onion, avocado and fresh garlic for flavor, texture and nutrition. It makes a great, filling lunch and will keep for a day or two in the fridge. 1. Remove stems from kale leaves. Chop leaves into small pieces. Place in large bowl. 2. 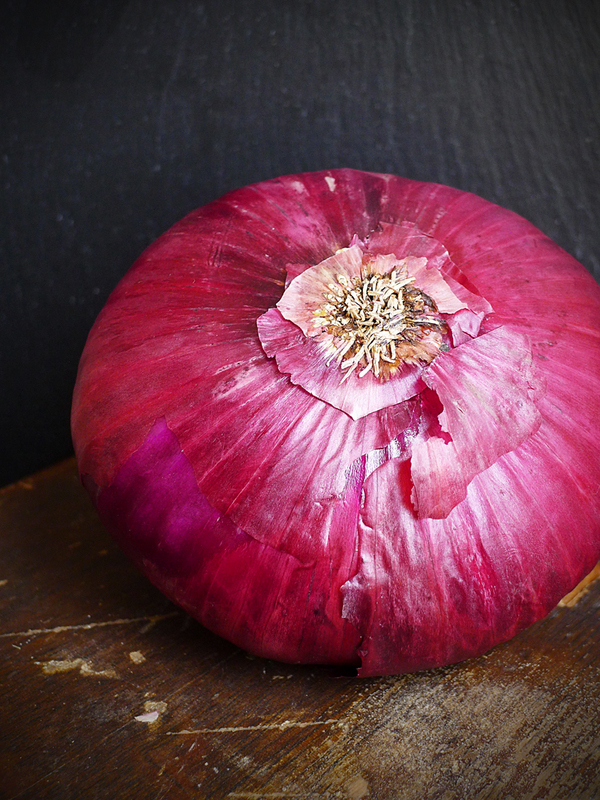 Finely chop 1/2 red onion into small pieces. Add to bowl. 3. Mash garlic cloves and chop into tiny pieces. Add to kale leaves. 4. In a small bowl, add lemon juice, olive oil, salt and pepper. Stir well with a fork. Add to kale salad and massage with hands until leaves are thoroughly covered. 5. Chop avocado into small pieces. Add to salad. 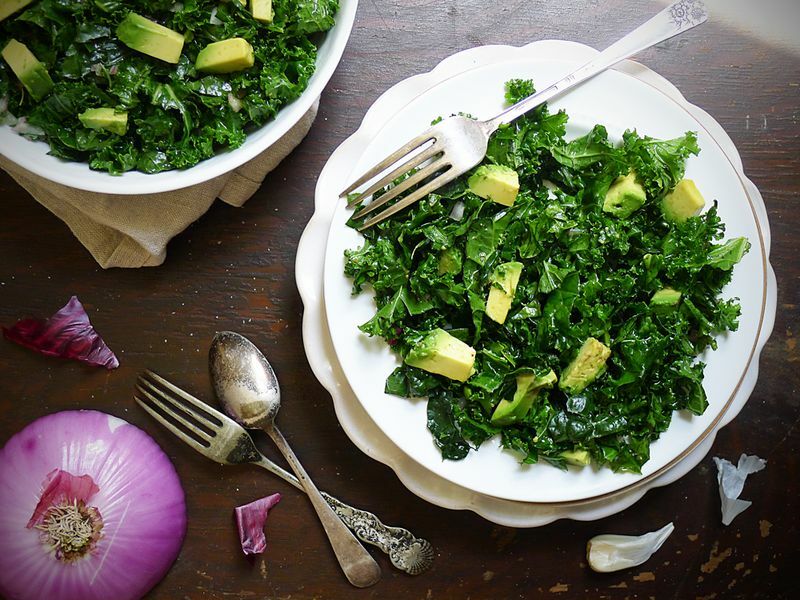 This entry was posted in Food and tagged Avocado, Kale, Olive Oil, Red Onion, Salad by admin. Bookmark the permalink. Sorry we don’t have any idea.